It really is all about the brain and how new pathways can become established and old ones can be paths less travelled. So many report their fibromyalgia began with an accident, surgery, violence or another episodic event that was physically shocking to the nervous system. 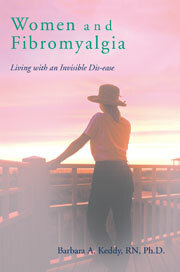 Some call this ‘primary fibromyalgia’. However, fewer report that major life changes like marriages, parenthood, divorces, job losses and changes, loss of loved ones, chronic illnesses, widowhood, moves, menopause, retirement, even significant birthdays, among many others, can be equally as traumatic to the nervous system. Like long term anxiety and stress , generally these are slower processes for fibromyalgia to develop and are often referred to as ‘secondary’ fibromyalgia. The brain needing to adjust to a new life circumstance usually does not do this very quickly. Uncertainty about the new transition develops and for the person with fibromyalgia or prone to it, anxiety brings about hyper-arousal of the nervous system, coming from a place of fear. This is not about the separation of mind/body, but rather to point out that while an assault to the body can bring about fibromyalgia for those who are predisposed to it, so too can a crisis in transitioning from one aspect of life to another. It’s about seeing the new with some degree of promise and hope. It’s about seeing the rainbow somewhere on the horizon, even if there is grief, pain and sadness associated with the change. This entry was posted in abuse, accidents, carolyn Thomas, death of loved ones, divorce, Fibromyalgia, Heart Sisters, job losses, marriage, menstruation, mind/body connection, panic, secondary fibromyalgiia, uncertainty on January 14, 2011 by Barbara Keddy.